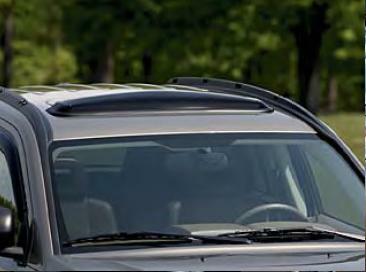 Acrylic tinted Sunroof Air Deflectors for the Jeep Compass follow the contours of the roof and reduce noise and turbulence inside the vehicle, allowing passengers to thoroughly enjoy the open sunroof. ConsThe hooks on the metal tabs wasn't bent correctly and had to be modified to hold. There was one screw missing and I had to go to the auto parts place and buy screws and cut them off and then put it together. Needs to have an extra screw and a couple of the metal tabs that are bent dirrerent. I have bought and installed these before and there were plenty of parts to make it an easy install.